How would you rate Gruden's first year? 1. How would you rate Gruden's first year? The first season under Gruden has come and gone. The initial excitement and nostalgia quickly wore off as we shipped out the face of our franchise and the team struggled mightily. There's no secret our roster lacks serious talent, some to do with the previous regime and some to do with recent acquisitions. All in all, it was a very frustrating but not surprising outcome imo. How would YOU rate Gruden after his first year as Raider HC (and GM really). My take: I give him a D. He was dealt a tough hand to begin with but didn't help with some questionable roster moves and coaching hires. Our team showed promise some weeks and completely gave up others. He set us up beautifully for the next number of drafts but also had a big part in shipping out the little talent we had. 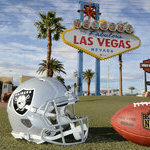 I am excited about the future of the Raiders but am iffy if Gruden is the guy to ultimately get us there. At the end of the day, I am content with the hire but the term is what scares the hell out of me. I think the problem with grading him, is that, we dont and wont ever really know his full plan. It really seems like this year was about building for the future. 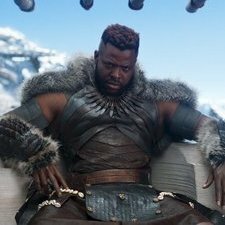 If he had us as 3 years away from competing , then trading Mack and Cooper makes sense, blah blah blah, if he legit thought we could compete then I have no words lol. His first Draft Class: (way to early to grade, but): C. . Missing out on James, when it was a major position of need hurts. Miller and Parker need to improve greatly. PJ Hall has shown flashes, but was a reach in the 2nd. Key and Hurst were great pickups, and the only reason this isnt lower. Townsend pick was brutal. The Bryant trade, didnt work out, we traded more than we should have, but I can understand the thought process. Offensive Playcalling: C. found his play calling very strange, the first 3 weeks it did seem like we were aggressively attacking teams weaknesses, which i loved. Rams we knew couldnt cover TEs, then targeted Coop against Den, and Jordy against the Dolphins. It worked well, but seemed to forced. AKA one guy would go off and no one else did anything. After the first 3/4 weeks though, it seemed like that stopped for a bit, and we went into full rebuild mode. I hope thats what it was, but tough to say. 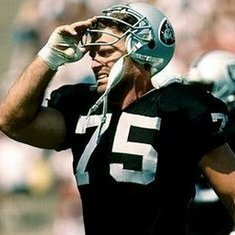 I am hopeful to see what Carr can do year 2 in the system, there is no doubt Carr and Gruden were not always on the same page, so tough to tell if some of the calls were audibles at the line. Fielding the team: D - How Conley and KJ didnt start the season is mind blowing to me. Reggie Nelson was clearly our biggest weakness in 2017, and Gruden just handed him the starting position.. makes me worry about his love for vets. The raiders knew Penn was injured and would miss time, yet didnt bring in any vet to help out our 2 rookies. Just our Oline in general, is clearly Power blocking, and we seemed determined to run zone. Jalen Rashard should have earned more playing time earlier on, but Lynch was running well, still think he should have utilized Jalen more. After the Coop trade we fielded a bunch of scrubs/ rookies at WR2. Setting us up for the future: Id give a B+/A- tons of draft capital.. but we lost 2 proven players. Mainly Mack, but we all knew the potential Coop had as well. Will see how he uses it. All in all - Id give him a C. But that is just strictly assuming this was all part of the plan and was supposed to be a rebuild year. I believe he had control of the locker room, and the players seemed to play hard for him. Next year will be a big year, I dont expect us to be ready to compete, but I expect us to be in every game, a year liek the browns this year. He will be out of excuses. 3 first round draft picks. Gruden thinks of himself as an offensive mastermind, DO NOT SPEND MONEY ON O, if this is the case. If you are such a genius on O, make it work with young players and role players. Spend early draft picks and the bulk of FA on the D side. See here’s the weird thing about the Carr/Mack thing. lets say that the raiders extended Mack, if Carr had a bad season or if you didn’t believe in him then you cut Carr with no cap hit. You’d still have Carr and then you could do the SEA/PHI/LA things with a strong defense and a young QB. They bet on Carr so now they gotta roll with him. I liked the Jordy Nelson and Dwayne Harris pickups and the Doug Martin signing although criticised turned out to be decent. Worley was another good signing and a decent risk as was Carlson. Hankins was a good pickup. Rucker and McDonald were decent without costing us too much but Smith, Carrier, Melvin, Gilchrist (I thought both would be better), Wilbur, Whitehead and the dozens of other late season additions didn't really add a lot. We have a few decent depth signings but no difference makers, Autry and Crabtree turned out to be a big loss and added to the trades of Mack and Cooper and we substantially downgraded our team effectively. I'm assuming this was mostly on Gruden. We missed out on a potential super star safety for a high ceiling reach at OT. I understand the pick as a need but personally would have gone James as he was my favourite player. I liked the Hall and Hurst picks and both I think showed flashes but didn't contribute hugely first year (as was to be expected). Parker was a reach but again it was a need so I'm not too critical of that. Townsend was a terrible pick as was trading away a 3rd for Bryant which pretty much everyone was shocked at. Nelson and Ateman didn't really do a whole lot and even making the team with the roster we ended up with wasn't that great a surprise. Key was as odd one for me, I thought he had bust written all over him but he did show some flashes and could be a valuable rotational pass rusher moving forward. F for fail. The Bryant trade was a disaster and the McCarron trade was terrible value considering it was a one year rental and he played no snaps. The draft trade down wasn't terrible IMO but we perhaps left some value on the table. I was surprised we traded Switzer as I thought he could be a decent piece and fitted exactly what we looked to do. I do think the Cooper trade was good for both parties but of course the Mack trade effectively waved the white flag for us this year. Actually I quite liked the play calling and scheming the first couple of weeks though we did become predictable and of course we seemed to be overly reliant on veteran players who clearly were shadows of their former selves. Conley looked like a super star when he finally got his chance and I've been a fan of KJ throughout so was gratified that he played well when eventually given the chance. We made some head scratching moves like putting Penn at RT, starting Reggie Nelson and omitting Conley and it was almost like they were trying players out in pre-season. Carr and the starters on O hardly played pre-season and that appeared to be a big mistake as they looked completely at odds initially as most of us feared in the new system. We seemed to get it together for the final quarter of the season but by which time Gruden had totally decimated the roster which negated any chemistry we had, especially for Carr I feel. I will say that towards the end of the season the young guys still seemed to be playing hard which is a positive as I though Gruden almost lost the locker room at the season mid point with the retirements and trades. We needed differences makers badly. That means hitting on your picks in round 1 to 3. So end up with a Derwin James in mid round 1 or a Darius Leonard in round 2. I mean just imagine we had these 2 guys on our defense, that would make our outlook look so differently. Now after a year if i look at what picks #15, #57,#65, #79 and #87 netted us there is little to be happy about. Miller would not be starting for most teams, Hall and Key are at the moment JAG's, Parker has not shown anything to suggest we should not get a RT in FA and Bryant is suspended. I would not be surprised to see most of these guys not get a big 2nd contract with us. I liked the strategy of going for 2 OT's early, and think we got great value for Hurst but all in all for now the end result is very very meager. As for grading Gruden.... i really really hope that Gruden had a way higher view of our roster and Carr/Cooper before he joined us thinking this was a potential playoff team, and that he quickly realised his view was mistaken. Meaning i have to switch strategy towards a full blown rebuild. I really hope that is what happened, otherwise i cannot understand the thinking behind many actions in 2018. Even if that is the case i would still give this a D or E.
I'm hoping Gruden take a page from his friend Andy Reid. Let's his GM stock the shelves and eventually brings in a guy he can groom to take over as OC. Kc really progressed when Andy CEO'd the thing and let his coaches coach. Gruden's downfall will be over extending himself. Incomplete grade. Can't say much more or less. He needs time to work a vision. Whether it works or not is an entirely different story. Good post and I agree with most of it. I would say re free agents that the likes of Giacomini, Carradine, DRC, Lumur and Derrick Johnson were all poor signings. I would give an incomplete grade on the draft as it’s too early. Biggest failure was the trade of Mack and not recognising the impact on the team. Gruden has a reputation for lying to players and no surprise that veteran players like Irvin, DJ and DRC all quit or were traded after the Mack trade. Were rating Grudens 1st year since being back so it's a HUGE F for FAILURE!!! Gruden as a coach. He had some good gameplans from time to time, but had destroyed chemistry with trading Mack and lost the locker room for a bit before getting it back with playing younger guys who want to look good because they have a future here or somewhere else. Gruden with draft is unknown if him or Reggie but I'm giving this to Gruden as Miller and Parker were more athletic than the maulers Reggie had broght onboard before. Gruden on hiring coaches is meh. I like ST and Defense coaching hires at the time but most of us complained about Olsen and Cable. That leads to scheme and not sticking to the power and strength of our team that was the Oline or Carr Insurance as it was once called. Needed some uninsured motorist protection as Carr looked scared/scarred behind the wheel many times. Gruden as a leader. Can't stand the guy. EGO seems even bigger than before (100mil/10yr will do that) and he doesn't accept responsibility from what I've seen this first season. He'll learn from his mistakes or will drag the franchise down so the next owner can buy it dirt cheap from Mark. PS I was a huge fan of the idea of bringing Gruden back but not with a 10 yr/100mil deal. We went from the dumpster to the playoffs and back into the dumpster a lit on fire. WEEEeeeee. PS I was a huge fan of the idea of bringing Gruden back but not with a 10 yr/100mil deal. For sure. I was super stoked to get the guy back because of how fiery he is my and was an offensive mind, but once the contract details came out I changed my tune. I still think he can be an effective HC but that term is outright ridiculous. Just curious why you care what his contract is? It's not your money and doesn't effect the salary cap. Is it the length?